Space, the final frontier. Huge, desolate, empty. The perfect setting for a videogame? Lots of people seem to think so. In this space trading and exploration game you get to be your very own Han Solo and fly around the galaxy, completing missions, trading commodities and combating mysterious aliens. 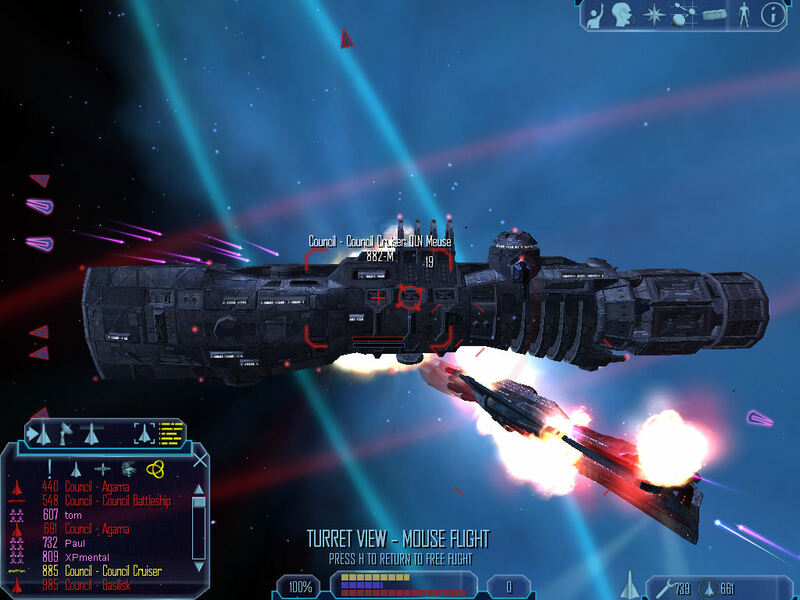 Despite failing to live up to the hype on its original 2003 release, the game was generally well received by critics and fans alike and is kept alive today by a small but passionate group of players and modders. Installing the game is easy, just place your Freelancer game disc into your computers optical drive and follow the on-screen prompts. If the games installer does not start automatically, browse to the CD in computer/this PC and run the Setup.exe file manually. Unfortunately, the game doesn’t appear to be available on any digital download services, so if you want to play you will need a copy of the original retail CD. For a game of such ambitious scope, Freelancer has surprisingly few official patches. Just one such patch was released for the game and this contains only some basic fixes for multiplayer mode. Even so, it can’t hurt to install it, so download it here and install it by simply running the executable file from inside the zip archive. With the patch installed, the next step is to fix the games copy protection. Unfortunately Freelancer uses an outdated form of copy protection (Safedisc) that is incompatible with Windows 10, and Windows 7 and 8 with the latest security patches installed. Unfortunately we’re not able to link you to patches that remove copy protection for legal reasons, though you may wish to check for a workaround on the site which hosts the patch we linked to above. As always, take extra precautions when downloading any kind of cracked or hacked executables from the shadier parts of the internet. The last step is optional but highly recommended. There are a number of fan-made patches and fixes that aim to correct problems that Micrsoft/Digital Anvil never got around to fixing. According to our research, the most commonly used of these is the Freelancer Quick Fix patch. You can obtain this patch here. To install the patch, simply run it and follow the on-screen prompts. That’s all that is required for basic functionality, we will have a look at some optional extras later in the guide. With Freelancer being such an old game, you should be able to set all the in-game settings to their highest quality without degrading the games performance. Start by loading the game and from the main menu, choose “Options” and then “General”. On this menu you should be able to set the games resolution. Choose whatever suits your monitor the best. Note that Freelancer does not support widescreen screen resolutions, though there is a workaround that we’ll show you later in the guide that can enable them. When setting a resolution, be sure to choose a 32 bit colour depth mode. These modes always end with “x 32”, so as long as you see that, you’re all set. With screenmodes configured, go back to the games options menu and choose “Performance”. On this screen you can simply make sure every setting is turned on and/or turned to the maximum. You’re now done configuring all the visual settings in the game. If you want to play in widescreen there’s a patch you can download and install that will enable this relatively painlessly. The drawback is that some multiplayer servers may incorrectly identify this patch as some sort of cheat enabling mod and therefore eject you from any games you try to join. If you’re only interested in checking out the single player campaign though, there shouldn’t be an issue. To install and activate the widescreen patch, first make sure the game is closed, then follow the steps below. Download this zip file. (Link broken?, let me know here). Inside the zip file you will find two folders, “EXE” and “JFLP”. These need to be copied to the Freelancer game folder (C:\Program Files (x86)\Microsoft Games\Freelancer by default). Once the files are copied, open the “EXE” sub-folder within the Freelancer game folder. In this folder you need to find a file called “dacom.ini”. Once you locate this file, open it in Notepad or your favourite text editor. If you’re unfamiliar with editing configuration files, there’s a tutorial here. Remember you may need administrator access to write the file, you can get that by searching for “Notepad” on the Start menu/search bar and then right clicking on it and choosing “Run as administrator”. Then, use the “File” menu and choose “Open…” and browse to the dacom.ini file. In the dacom.ini file, find the section that begins “[Libraries]”. Browse to the end of this section and add the line “jflp.dll” (do not copy the quotation marks). Save the file and restart the game. You should now be able to select widescreen screen resolutions from the General options menu. If you ever want to disable the patch (e.g to play multiplayer) simply remove the “jflp.dll” line from the dacom.ini file. There aren’t an awful lot of sound quality settings to configure with this game. One thing we do recommend doing is turning off the 3D sound option. Freelancer uses the now defunct EAX audio standard and the 3D sound mode is reported to cause issues on more modern machines. Turn it off by going to the “Options” menu and then choosing “Sound” and then deselecting “3D Sound”. The exception to this is if you have a Creative Labs sound card that supports ALchemy. In this case, activate Freelancer with ALchemy in the usual way (ALchemy fully supports Freelancer and should detect the game automatically). Then, run the game and make sure 3D sound is turned on. You now have everything you need to play the basic game, but read on for some more interesting content you may want to install. Freelancer is another PC game that’s seen extensive mods and community created content. If you’re interested in exploring some of this content, you should start by installing the Freelancer Mod Manager. You can download the mod manager here. To install the mod manager, just double click on the downloaded executable file and follow the on-screen prompts. 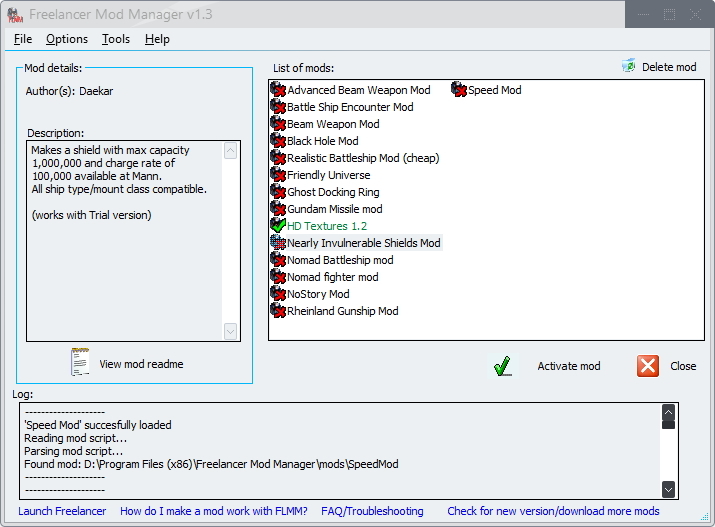 Once the mod manager is installed, you can download mods and simply double click on the “flmod” file you download. It will then be added to the list of mods in Freelancer Mod Manger. To activate a mod, start Freelancer Mod Manager then just select the mod in the list and click “Activate mod”. The picture below shows our mod manager with one mod activated. One mod that comes highly recommended is the Freelancer HD Textures mod. This mod upgrades the textures in the game for better visual quality. You can grab this mod here. Just double click on it to install it then activate it in your Freelancer Mod Manager. The original multiplayer servers for Freelancer closed down many years ago. However, it’s possible to use servers run and maintained by fans of the game. If you’re interested in trying this, there’s a guide here. You can find all sorts of Freelancer related downloads on this page. 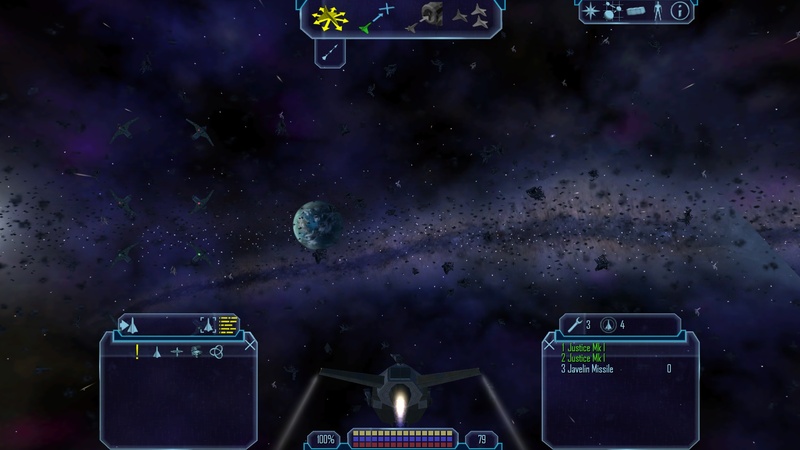 Somewhat unusually for a space combat game, Freelancer was designed to be played with keyboard and mouse and has no support for game controllers or joysticks. We recommend sticking to the keyboard and mouse for this game as the control system is so tightly designed for this that using a gamepad is more hassle than it is worth. Save games for Freelancer can be found in your Documents folder under “My Games\Freelancer”. Audio issues – Problems with the game audio can usually be fixed by turning off 3D sound from the Sound menu (select the “Options” menu and then “Sound”). Missing mouse pointer in game menus – This can happen if you’re using some kind of in-game overlay such as Steam or Evolve. Disable the overlay to correct the problem. Taking on a battle cruiser in the games original aspect ratio. Cruising through space in 1080p with the widescreen mod.